It will all be OK. Really. Some parents will go to great lengths to get their child into an elite college. This was, of course, painfully proven during the celebrity college admissions scandals over the past few weeks, during which people like squeaky-clean Hallmark celebrity Lori Loughlin and actress Felicity Huffman’s baser instincts were exposed. But even non-famous parents worry. We don’t want our children to be disappointed. We want to make life easier for them. We want the best for them. 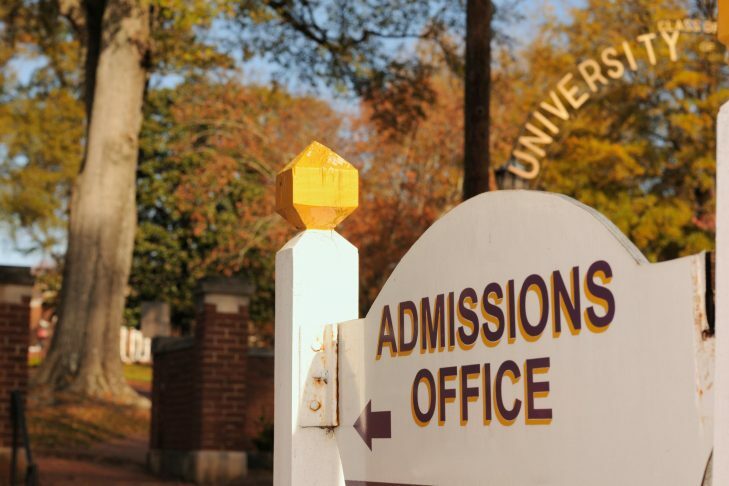 And, yes, some of us are afraid that our child’s college pedigree will reflect on us somehow, too, says Sherri Geller, co-director of college counseling at Gann Academy in Waltham. “I think students can be more resilient than their parents. Some parents base their success as a parent on where their child is going to school,” Geller says. In reality, she says, there are boundless good options for students, not merely name-brand schools. Yes, really. But some parents find it risky to put a child in charge. One reason for the increased sense of competition? More applications. Today’s families are more mobile and technology makes the world feel even smaller, says Geller, who has been counseling students since 1994. These days, students apply to more schools and cast a wider geographic net. Technology has also made it easier to apply to more schools. However, the size of freshman classes haven’t kept pace. A freshman class might still hover at 1,500 students, but a college that once got 5,000 applications might now get 15,000. “Competition is that much more keen,” she says. So what’s a parent to do? Read on. Start the search without any expectations about applying to a specific place. Instead, think in buckets. For example: small, large, rural or urban. Seek out those important elements and choose to tour one or two schools that fall into that category. Your student might realize that he or she dislikes a smaller school or feels overwhelmed in an urban area, making it that much easier to narrow the pool. Initiate a meeting with your college counselor. Some schools, such as Gann, initiate meetings. At larger schools, it could be up to the student to make the first move. Geller recommends three meetings during junior year, so the counselor can get a strong sense of the student. Counselors have information about colleges that you might not be privy to: which ones value SAT scores, which ones prize community service, which ones look strongly at essays. They also have historical knowledge about the profiles of students who have been admitted in years past. They attend college conferences and tour schools on their own, too. So use them as a resource. You don’t need a tutor. Really. “So many parents are caught up in anxiety. ‘Do I have to hire other people to help?’ But the admissions process is designed to be something a 17-year-old can do by him or herself. It all goes back to the trust factor. Trust your student. It can be managed without extras,” she says. See tip No. 2. Tour smartly. Campus information sessions are usually up to 45 minutes, and tours are often student-led and last for an hour. Split up from your child for part of the time to form your own impressions. Take photos or notes, and then meet to compare. “Let your child form his or her own impressions. This comes back to developing trust. Sometimes they might not mean to, but parents can convey the impression that the student isn’t up to the task,” Geller warns. If your child doesn’t like a school, don’t push it. And to keep stress levels low, try not to cram in more than two visits per day. Geller notes that many schools have eliminated overnight visits due to liability issues; instead, try to pinpoint areas of the college during your visit where your child might end up spending a lot of time as a student, such as a theater or lab. Narrow it down. Geller recommends applying to up to eight schools, with two to three reaches, two to three middle-of-the-road options and two to three safety schools. Some students might prefer to apply to one school early decision. This is right for some students, but only if “there’s no question that it’s the first choice and that the student can file a well-done application in time,” she says. Parents should evaluate any financial aid constraints ahead of time, too, before pinpointing just one school. Intrude at your own risk. It might be tempting to mastermind your child’s application process (even in a legal way! ), from scheduling tours to crafting essays. Try to participate in a more collaborative way. “Instead of a parent saying, ‘Let’s visit here,’ say, ‘Are there five schools you’d like to visit?’ Let your child take some ownership,” she says. She recalls one parent who clearly wrote his son’s essay for him. The essay was about his experience as a camp counselor; when Geller read it, a phrase about how much the applicant “enjoyed working with youths” raised red flags. No teenager would talk that way, and colleges know it. “Colleges are used to seeing 18-year-old writing. It will stick out. An experienced reader will know right away if a parent helped,” she warns. Authenticity matters. Set clear limits. Just the same, you’re likely footing the tuition bill, so you do have some control. If there are constraints about where to apply, say so. If your child needs to be within driving distance or has a budget, make it clear from the outset. “It’s tempting to say, ‘We’ll let you apply and see what happens.’ Then the student gets in, and the parent says that they can’t go,” which only leads to disappointment. Don’t bother applying to unrealistic places. Grieve. If your child didn’t get into their dream school, it’s OK to be upset and disappointed. The difference, Geller says, is to be disappointed alongside your child, not at them. Then, “Move on to Plan B.” And remember: It’s really not a referendum on your child’s attributes. “Many colleges have institutional priorities that aren’t public. Let’s say a school that wants to be 50-50 male/female was 60/40 last year. This year, if you’re a male, it will help you a lot. Others have priorities around SAT scores. Others need an oboe player for the orchestra,” she says. In other words: It’s really not about you, or your child. 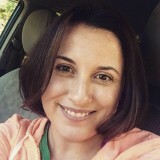 Kara Baskin is the parenting writer for JewishBoston.com. She is also a regular contributor to The Boston Globe and a contributing editor at Boston Magazine. She has worked for New York Magazine and The New Republic, and helped to launch the now-defunct Jewish Rock and Roll Hall of Fame. Email her at kara@jewishboston.com. Is It Unethical to Post Photos of Your Kids? Happy New Year! Now, Change.